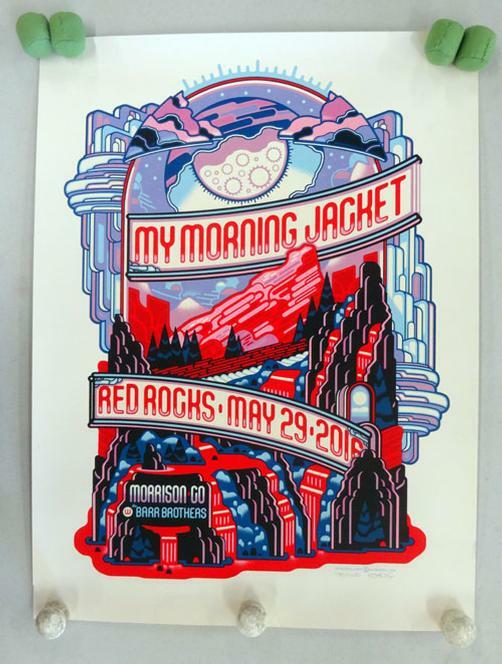 Original silkscreen concert poster for My Morning Jacket at Red Rocks in Morrison, CO in 2016. 17.5 x 23.5 card stock. 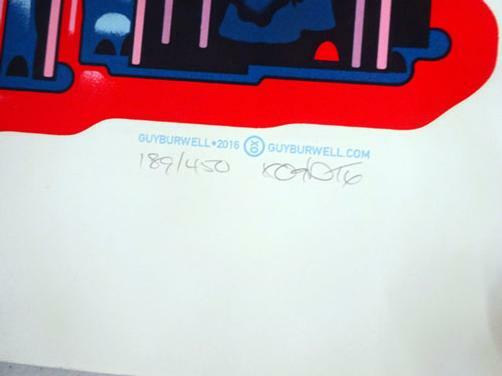 Signed and numbered 189/450 by the artist Guy Burwell.